Adam is a player who refuses to get married—ever. committed relationship. Esi’s matchmaker instincts warn her to run in the other direction as quickly as possible, but her heart insists she stay…get closer…and see if what they feel for each other can change his mind. This is my second read by Nana Prah and I absolutely enjoyed this one as well. Set in Ghana, meet Esi Darfour, a midwife and doctor Adam Qaurshie. Esi is ready to settle down and get married...Adam on the other hand is looking to do the opposite, he's a commitment phobe and wants nothing to do with marriage. Extremely attracted to one another, Esi and Adam bump heads all throughout Destiny Mine. Esi is mad (more at herself) because she is falling in love with Adam and she can't understand why he just doesn't want to settle down while Adam is mad (more at himself) because he can't understand why Esi just doesn't want to play around...why she wants to get married...why any woman wants to get married. 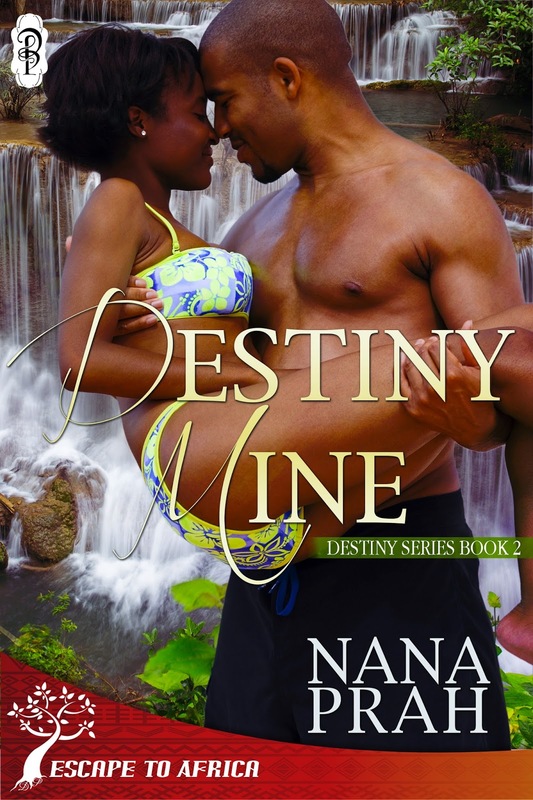 Nana Prah had me cracking up with Destiny Mine because of the verbal sparring that went on between these two. Esi in Adams words had a smart mouth, she spoke her mind and as much as it pissed him off, it also was a huge attraction to him too. And as much as Adam made her blood boil with anger and lust, Esi loved the fact he was also no push over, and it didn't help that he was smart, gorgeous and had a body built for fantasizing...wait where was I? oh yes, the review...lols. The side characters were a bonus especially Esi's cousin Ora who was pregnant and going through the motions. Well written, the character and world building was just exceptionally done. I really liked the fact that Nana was able to mix sweet, humor and sensually sexxy altogether in this story...it made for an outstanding read. Destiny Mine is book 2 in her Destiny series but can definitely be read as a stand alone.